Every January sees people committed to changing for the better. But most people set goals that are impossible to keep. And so they aren’t able to follow through with them. But Quaker believes that it is possible to change for the healthier. All you need is a simple commitment. Like breakfast! Regular breakfast eaters are less likely to be overweight. They get more important vitamins and minerals. They’re the kind of people who stick to other healthy habits. And regular Quaker Oats eaters have it even better! One bowl of 100% Australian wholegrain oats is packed with healthy goodness. It’s a tasty and wholesome source of iron and protein. High in fiber, phosphorous, B1 and magnesium. And it’s naturally cholesterol-free! 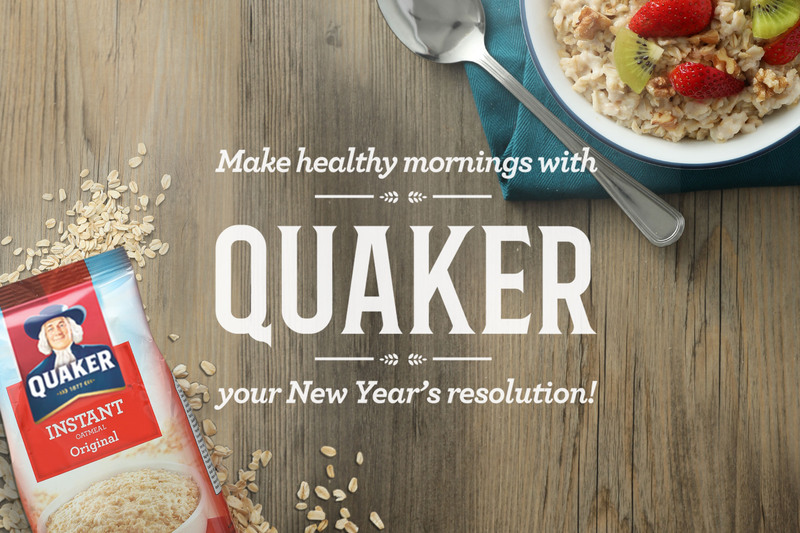 Need more motivation to make a Quaker Oats breakfast your resolution? Preparing it’s as easy as just adding water! And it comes in a range of fun flavors. From original, to chocolate oats, to tropical fruits, to chicken caldo. Quaker Oats gives you so much to look forward to. So get on that goodness for great mornings. And all those great mornings will make for a great year! Start your 2017 healthy with Quaker.